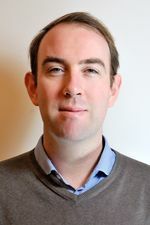 Richard Grieveson is Deputy Director of wiiw and coordinator of the wiiw country analysis team. His main area of research is CESEE country analysis and economic forecasting, with a particular focus on Turkey and the Western Balkans. In addition he works on migration, sovereign risk, economic history and European integration. He holds a Graduate Diploma in Economics from the University of London, Birkbeck, a Master in Advanced International Studies from the University of Vienna and a BA in History from the University of Cambridge. Previously he worked as a Director in the Emerging Europe Sovereigns team at Fitch Ratings, with a focus on the CIS and Balkans. Before that, he was Regional Manager and lead analyst for Germany and Poland in the Europe team at the Economist Intelligence Unit.